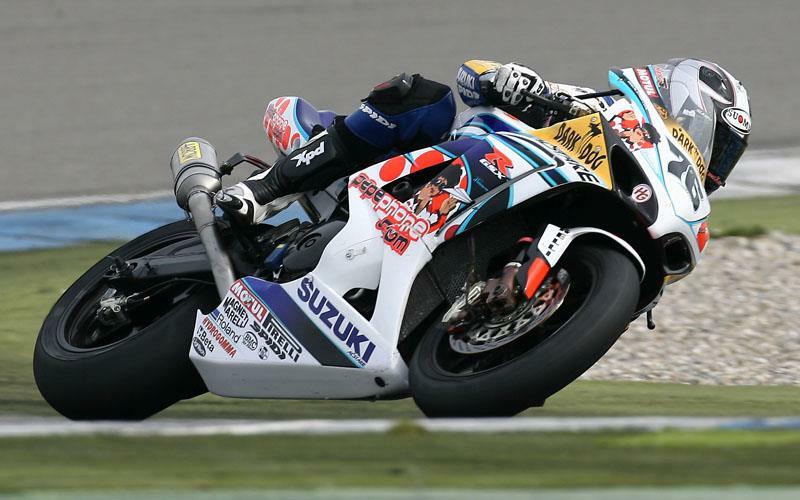 Alstare Suzuki man Max Neukirchner backed up his impressive run of form to take provisional World Superbike pole with a lap time 0.369seconds faster than second placed Troy Bayliss. Neukirchner spent the session lapping with his team-mate Yukio Kagayama with the two riders benefiting from each others tow along the fast straights. The plan worked well for both men with Kagayama finishing up in third place making it two Alstare Suzuki’s on the front row. Fourth place went to a resurgent Makoto Tamada onboard the PSG-1 Kawasaki. Tamada has never ridden at the Monza circuit before but has been able to instantly gel with the circuit and also benefit from a reduced amount of chatter, which has been a big problem in the opening four rounds of the championship. Speaking to MCN, pole man Max Neukirchner said: “I got a good slipstream from Yukio on my fast lap and that helped a lot. It’s important to lap with someone around here and I worked on this with Yukio this morning and in the afternoon. Whilst the Suzuki, Ducati and Kawasaki motorcycles are clearly working well at the circuit, Honda and Yamaha are yet to find a good set-up. Karl Muggeridge was the first of the Honda’s in sixth spot with the best Ten Kate rider in eighth thanks to Kenan Sofuoglu. Gregorio Lavilla secured tenth with regular front runner Carlos Checa in 14th and British Superbike champion Ryuichi Kiyonari in 16th. Noriyuki Haga was the best Yamaha in 12th with his team-mate Troy Corser 15th. Max Biaggi is so far having another disastrous weekend like he did at Assen. The Italian Sterilgarda rider could only finish in 17th place all be it only 1.265 seconds off pole.